NAIROBI, Kenya – Somali pirates on Wednesday hijacked a U.S.-flagged cargo ship with 20 American crew members onboard, hundreds of miles from the nearest American military vessel in some of the most dangerous waters in the world. United Kingdom maritime officials have been able to contact the vessel and were told "everyone is OK," according to a U.S. defense official in Washington who spoke on condition of anonymity because he was not authorized to speak on the record. British maritime and defense officials did not immediately return phone calls seeking comment. 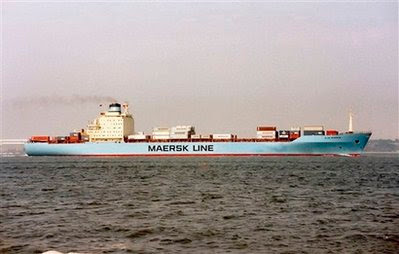 The 17,000-ton Maersk Alabama was carrying emergency relief to Mombasa, Kenya, when it was hijacked, said Peter Beck-Bang, spokesman for the Copenhagen-based container shipping group A.P. Moller-Maersk. It was the sixth ship seized within a week, a rise that analysts attribute to a new strategy by Somali pirates who are operating far from the warships patrolling the Gulf of Aden. The company confirmed that the U.S.-flagged vessel has 20 U.S. nationals onboard. Cmdr. Jane Campbell, a spokeswoman for the U.S. Navy's Bahrain-based 5th Fleet, said that it was the first pirate attack "involving U.S. nationals and a U.S.-flagged vessel in recent memory." She did not give an exact timeframe. Press secretary Robert Gibbs said the White House was monitoring the incident closely and "assessing a course of action." "Our top priority is the personal safety of the crew members on board," Gibbs said. When asked how the U.S. Navy plans to deal with the hijacking, Campbell said she would "not discuss nor speculate on current and future military operations." It was not clear whether the pirates knew they were hijacking a ship with American crew. "It's a very significant foreign policy challenge for the Obama administration," said Graeme Gibbon Brooks, managing director of the British company Dryad Maritime Intelligence Service Ltd. "Their citizens are in the hands of criminals and people are waiting to see what happens." Brooks and other analysts interviewed by the AP declined to speculate on whether American military forces might attempt a rescue operation. A senior Navy official in Washington said the Obama administration was talking to the shipping company to learn "the who, what, why, where and when" of the hijacking. 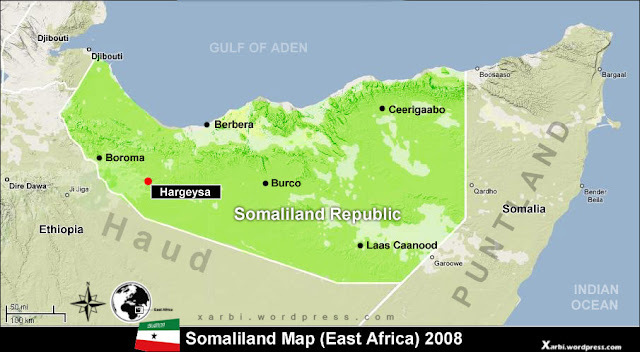 The U.S. Navy confirmed that the ship was hijacked early Wednesday about 280 miles (450 kilometers) southeast of Eyl, a town in the northern Puntland region of Somalia. Noel Choong, who heads the International Maritime Bureau, a piracy watchdog group in Kuala Lumpur, said depending on the speed of the ship, and where the pirates wanted to take it, it could take a day or two to reach shore. U.S. Navy spokesman Lt. Nathan Christensen said the closest U.S. ship at the time of the hijacking was 345 miles (555 kilometers)away. "The area, the ship was taken in, is not where the focus of our ships has been," Christensen told The Associated Press by phone from the 5th Fleet's Mideast headquarters in Bahrain. "The area we're patrolling is more than a million miles in size. Our ships cannot be everywhere at every time." Somali pirates are trained fighters who frequently dress in military fatigues and use speedboats equipped with satellite phones and GPS equipment. They are typically armed with automatic weapons, anti-tank rocket launchers and various types of grenades. Far out to sea, their speedboats operate from larger mother ships. Most hijackings end with million-dollar payouts. Piracy is considered the biggest moneymaker in Somalia, a country that has had no stable government for decades. Roger Middleton, a piracy expert at the London-based think-tank Chatham House, said pirates took up to $80 million in ransoms last year. A NATO official said from Brussels that the alliance's five warships were patrolling the Gulf of Aden at the time of attack. "That's where most of the shipping goes through and we can provide most of the protection in that vital trade route," said the official who asked not to be identified under standing rules. NATO has five warships that patrol the region alongside three frigates from the European Union. The U.S. Navy normally keeps between five to 10 ships on station off the Somali coast. The navies of India, China, Japan, Russia and other nations also cooperate in the international patrols. NATO sees piracy as a long-term problem and is planning to deploy a permanent flotilla to the region this summer. On March 29, a NATO supply ship itself came under attack by Somali pirates who appear to have mistaken it for a merchant ship. The crew quickly overcame the attackers, boarded their boat and captured seven. This is the second time that Somali pirates have seized a ship belonging to the privately held shipping group A.P. Moller-Maersk. In February 2008, the towing vessel Svitzer Korsakov from the A.P. Moller-Maersk company Svitzer was briefly seized by pirates. Before this latest hijacking, Somali pirates were holding 14 vessels and about 200 crew members, according to the International Maritime Bureau. Associated Press writers Barbara Surk in Dubai, United Arab Emirates; Pauline Jelinek in Washington; Jan M. Olsen in Copenhagen; and Tom Maliti and Anita Powell in Nairobi, Kenya contributed to this report.